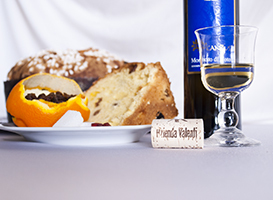 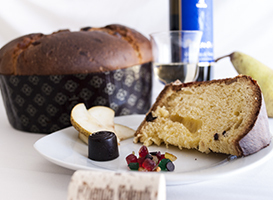 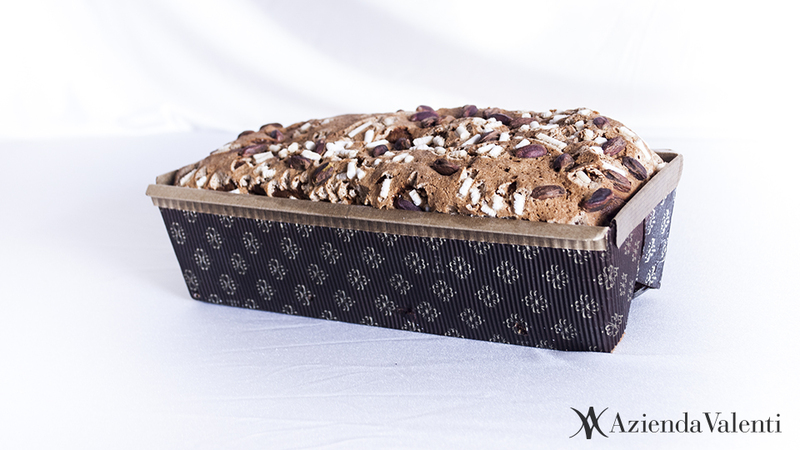 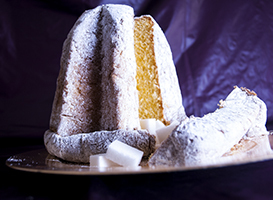 Tronchetto with Moscato di Noto is a baked sweet bread of remarkable elegance, it lends itself to delight any time of the day. 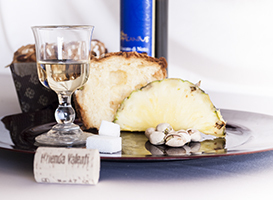 The careful choice of candied pineapple and apricot, left to macerate in Moscato di Noto, creates a dessert unlike any other. 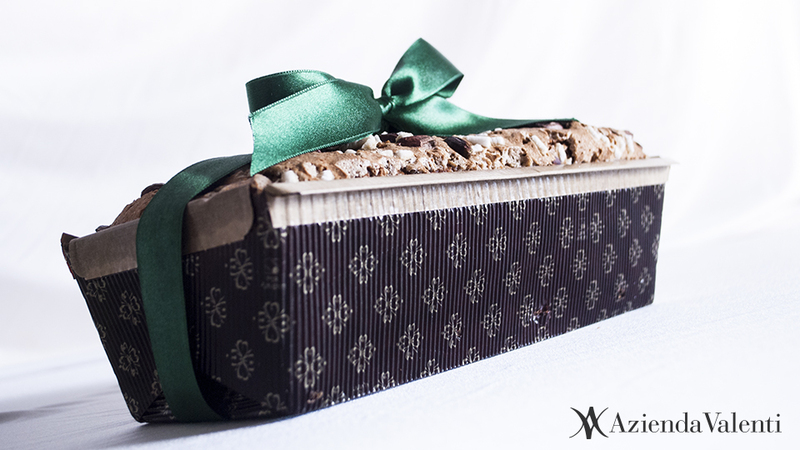 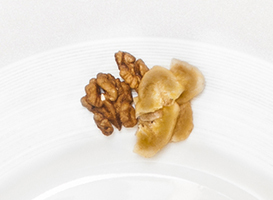 On the surface shines a glaze with pistachios that gives it an attractive look.